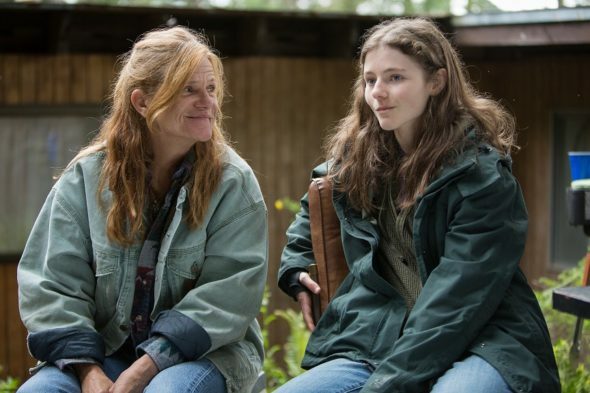 Based on the novel ‘My Abandonment’, Leave No Trace is an American drama movie that was released last year. It had its world premiere at the Sundance Film Festival in Utah and has since then been nominated for several awards. The movie even won a few, with the most recent one being the USC Scripter Award. It’s a film that has received a tremendous amount of positive feedback, so naturally, we were curious what all the fuzz was about! 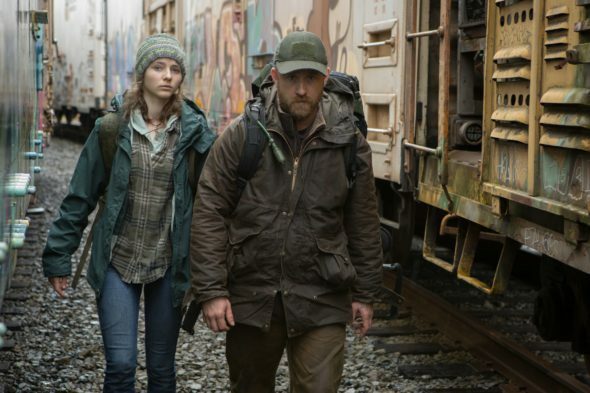 Leave No Trace centers around Will (Ben Foster), a veteran with PTSD and his 13-year-old daughter Tom (Thomasin Harcourt McKenzie). The two of them live in a public park in Portland, Oregon. They live in isolation and only enter civilization when needing food and other supplies. Will makes a living by selling painkillers to other veterans also living in the park. One day Tom isn’t careful enough and gets noticed by a jogger. After this, their camp (or their home) is discovered and they’re placed in social services. Both Will and Tom are trying to adapt to life in their new home and town. While this seems to be going a lot easier for Tom, Will is dying to get out. Of course, his daughter reluctantly follows her dad and they secretly leave town again. The movie starts by following Will and Tom in the park. There’s no dialogue, just the sounds of nature. There’s a lot of bright green that’s being shown, accompanied by a soft soundtrack. It gives the viewer a feeling of peace from the start. You get familiar with how the two of them live their lives in the wild. There’s an immediate difference when they enter the civilized world, yet the quiet theme, together with a focus on facial emotions and short but fierce conversations lasts throughout the whole movie. 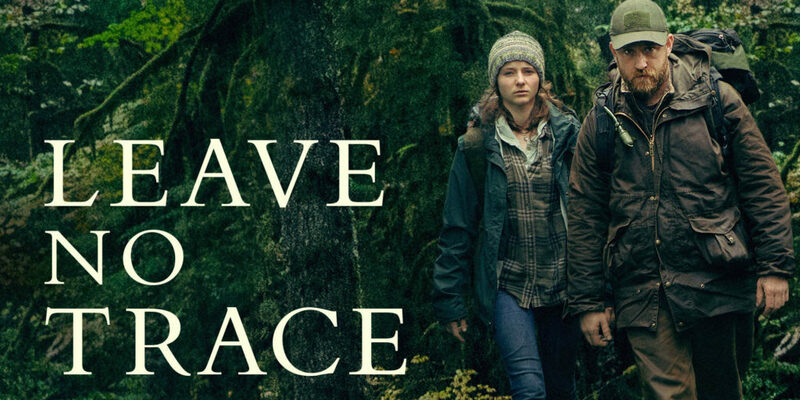 This is honestly wonderfully done and really gives Leave No Trace its charm. There’s a clear distinction between father and daughter. Even though they had a good life they both enjoyed in the woods, Tom longs for social contact and an actual house to live in. She’s used to the loneliness but gets familiar with making a friend, having a comfortable bed and using technologies after social services take them in. As young people do, she quickly adapts to this new lifestyle and wishes to continue living this life. Her father is completely different; he got scared by the sound the helicopters made, he doesn’t want to use someone’s house, and he doesn’t enjoy the social contact. It shows a picture of a man scared of the world, a man who has suffered at the hands of war and a young girl still trying to figure out the world. It’s interesting to see these two characters come together in this movie. A beautiful ending was created to fit an amazing film. The nature shots we get in the movie are absolutely stunning. If you love the woods, you’ll surely enjoy the images here. Sometimes vibrant green woods, and other times the dark grey and dull woods. Mostly, filming these scenes were done in Eagle Fern Park in Clackamas County. The movie definitely caught the beauty of this park in all its glory. Now, for the acting performances, we have our two leading roles executed by Ben Foster and Thomasin Harcourt McKenzie. Ben Foster is a familiar name to many. He is known for his performances in movies like Hell or High Water and The Messenger. Now, we know he can act and he proved that once again in Leave No Trace. Throughout the whole movie, we get to enjoy a great execution of his role. Even though he did great, the shout out in this movie goes to McKenzie. She was just 17 when shooting this movie and man, did she do well. The last couple of years, a lot of talented young actors have made their debut and McKenzie is definitely one of them. She brings an even performance, with the right amount of emotion, innocence, and curiosity. This young woman is definitely one to keep an eye on in the coming years. The DVD doesn’t include any bonuses. Did we miss them? No, not really. The movie tells a beautiful and intriguing story and that’s the way it should be. No extras like a making of are needed because it wouldn’t add to the value of the DVD. The same goes for behind the scenes footage. Leave No Trace is a beautiful drama movie telling a story that isn’t really original but is brought to us by director Debra Granik in a great way. From the stunning film locations to the quiet note that is present throughout the movie and a pair of talented actors; it makes for a wonderful production. We definitely recommend watching this movie when you’re having difficulties picking a movie to watch this weekend.